FASI’s purpose is to educate members, offer networking opportunities, and to be a voice for the Florida self insured market for all lines of coverage including Workers’ Compensation, Health Insurance, all Liability lines, Property and Auto. All organizations with a large deductible in any of these areas are also a welcomed member at FASI. FASI also allows associate members voting rights as well as membership on the Board of Directors although the Board and its officers must be a majority of self-insured or large deductible organizations. FASI is a member of the National Council of Self Insurers and participates in their programs. Since our inception FASI has been instrumental in shaping Florida legislative policy in the self insured Workers’ Compensation arena. Our members participate in workshops that assist in guiding policies, rules and laws regarding Workers’ Compensation. FASI updates its members on court cases and rulings which could impact the self insurance environment in Florida and have participated in amicus briefs in order to weigh in on critical and pending cases before the Florida Supreme Court. FASI members are regularly emailed court rulings, case law and rules updates so they are educated on how these cases and rules potentially shape the future outcome of case law. FASI members have been appointed to serve on the board of the Florida Self- Insurers Guaranty Association, Inc. (FSIGA) which oversees policies and rules for financial integrity among private and publicly held companies that are self insured. FSIGA also performs the day to day administrative functions via a contract with the Florida Division of Workers’ Compensation. 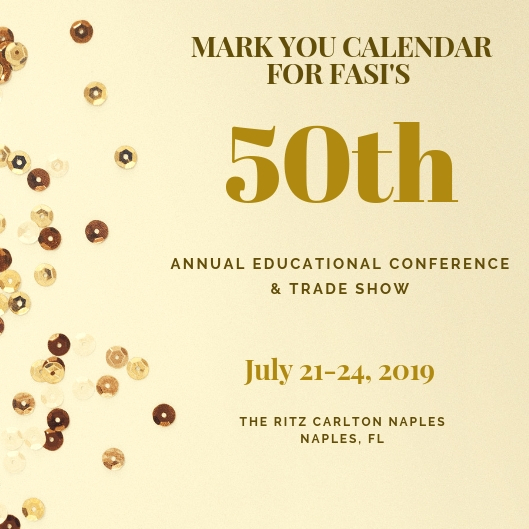 FASI offers educational conferences twice a year with our main conference in July. We bring in prominent speakers including the Chief Judge of Compensation Claims, the Executive Director of FSIGA, the head of the Workers’ Compensation Bureau and legislative members who can bring us up to date on pending legislation. We also bring in prominent leaders in their field to help us understand self insurance changes and opportunities. FASI also has a number of defense attorneys that are active members and they share their experiences with claims and outcomes that are invaluable to members. FASI retains Kautter Wenhold Management Group (KWMG) to oversee administrative.